Update: Right now, you can get five free 4x6 prints at Walgreens with the code APPFREE when you order through the app. 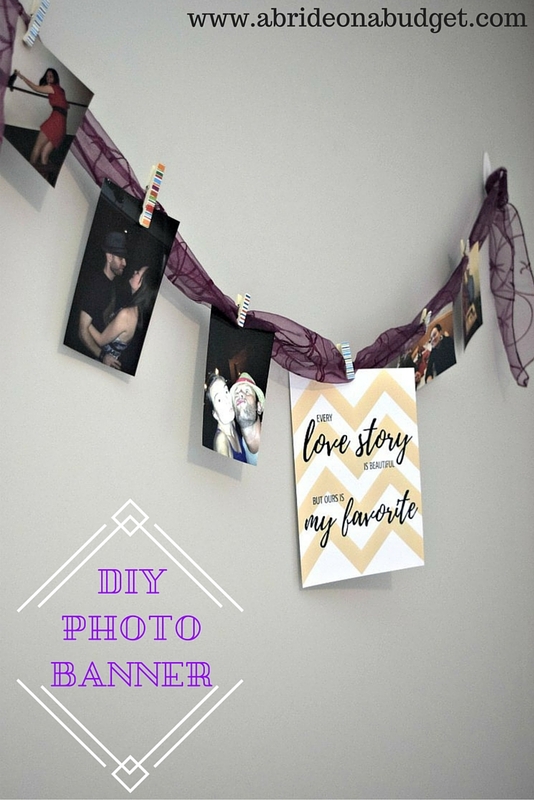 It's a good time to print out the side photos for this DIY photo banner. I love pictures. I had so many on my last phone that I had to delete an app or two if I wanted to take any more pictures. Really, my dinosaur of a phone was basically an oversized SD card. I think a lot of people are like that too. But, lots of photos on your phone comes in handy when you're planning your wedding and can quickly open a photo app and print pictures to create a DIY photo banner. I've seen this done two ways. 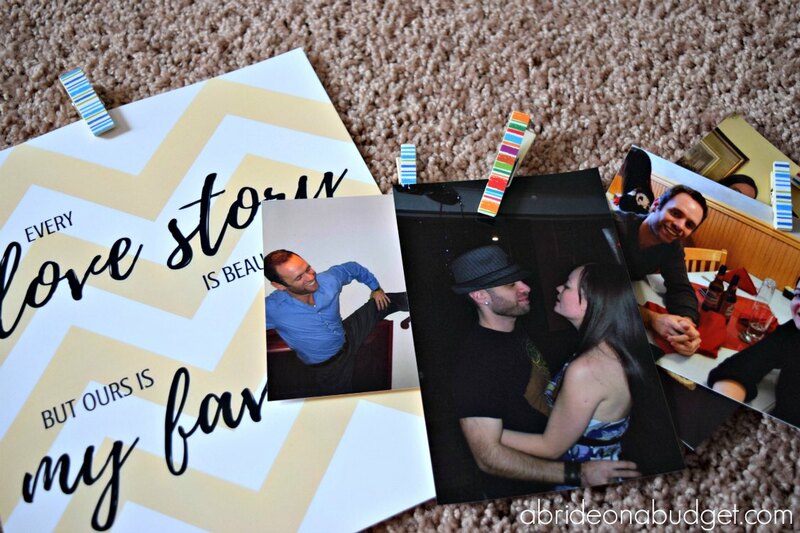 You can either print pictures of you as a couple or you can print photos of each of you growing up until now. The latter is really cute if you met each other later in life. That way, your family and friends can see your fiance as a child and vice versa. 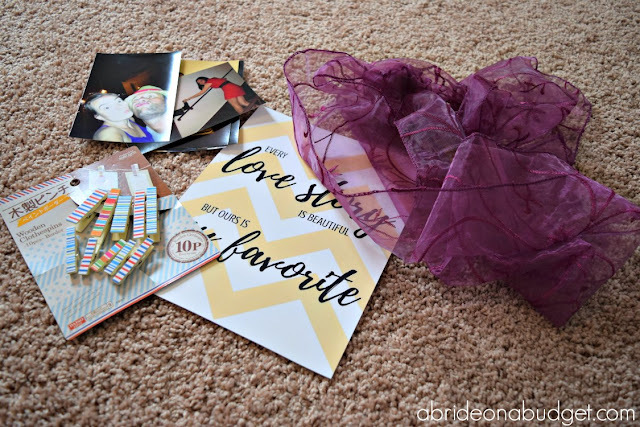 If you have grown up together, photos as a couple works better because then you're giving your guests a glimpse into your life. 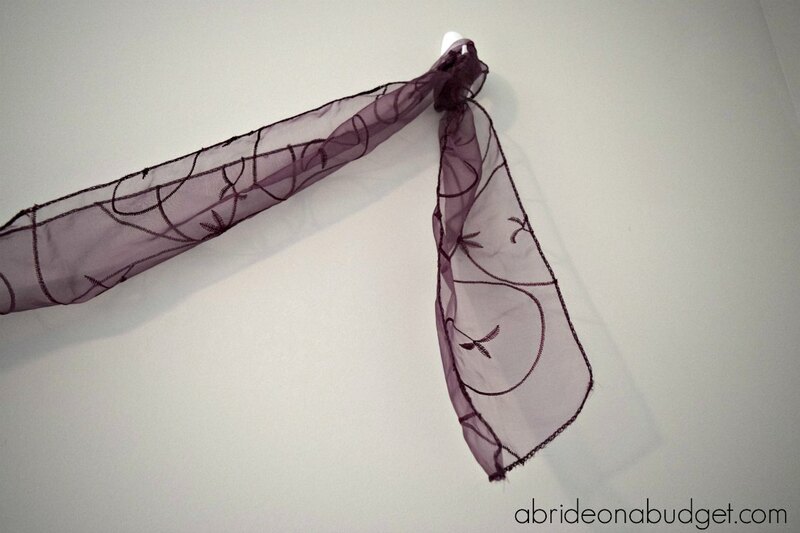 Hang the fabric on a wall in your venue. I used a chair sash and hung it with Command hooks (using a quick knot) since you can pull them down without leaving behind holes.You could go with something like jute cording, but I would worry about the clothespins slipping during the reception and you having photos all over the floor by the end of the night. Quick aside: Be sure to double check that you're able to do this. Venues have their own rules about hanging things. 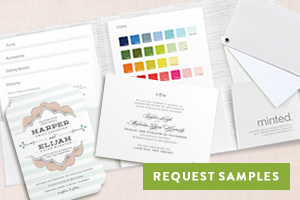 So before you spend money printing photos, ask your venue if it's okay to hang -- and how they advise you do it. 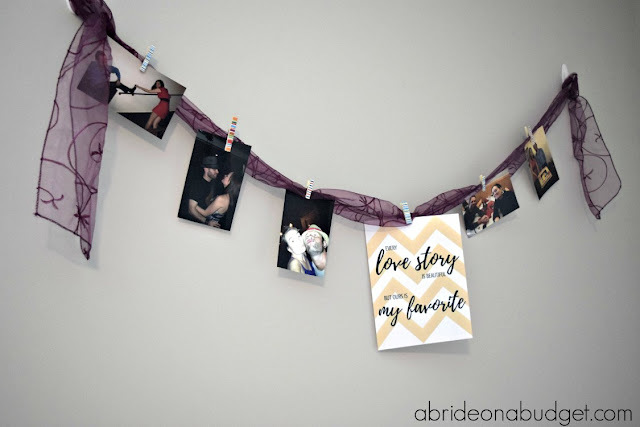 Affix clothespins to each of the photos. You want clothespins instead of anything that involves glue, especially if you borrowed these from baby books. Attach the clothespins to the fabric ribbon. 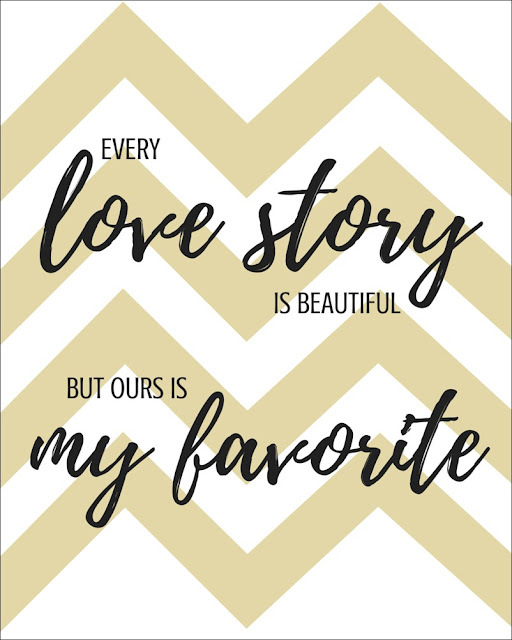 Put the "Every Love Story Is Beautiful But Ours Is My Favorite" free printable in the middle and scatter the other photos around it. Now, about that printable. I actually made it for you already so you don't have to. 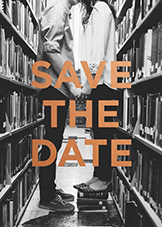 Just click the image below, save it to your computer, and then print it as an 8x10. I would print it somewhere like Walgreens photo instead of at home, so it's on photo paper, matches the other photos, and doesn't waste all your ink. BRIDAL BABBLE: Would you make this DIY photo banner for your wedding? Pete loves mint and chocolate. Most people do. So that's why these chocolate mint truffles are a perfect wedding favor. You can make a bunch of them ahead of time and keep them in the fridge. I don't want to say they'll save forever, but we have had half a batch of these in the fridge for weeks now and they're still good. I gave up chocolate for Lent, so I haven't been able to touch them for a month. That's really why they have lasted for so long. You'll have to make these in batches, then store them in an airtight container in the fridge. Pick up cute mini cupcake wrappers. When your venue (or coordinator) are setting up your favors, have them place one truffle per wrapper. Pour the heavy cream in a saucepan and heat it until it just starts to boil. Stir in the mint chips and butter until the mixture is combined. Cool in the fridge for a few hours until the mixture is solid. If you check after two hours and it hasn't solidified, remove it from the fridge and put it back on the stove. Head it with a few spoonfuls of powdered sugar. Stir and put it back in the fridge for an hour. Shape the mint mixture into tiny balls. One teaspoon per truffle is a pretty good size. Put them on a silicone baking mat-lined cookie sheet. This just makes them super easy to remove when you're ready. Put them in the fridge for about 20 minutes so they hold the shape. Dip the truffles in the chocolate and put them back on the cookie sheet. Cool them in the fridge. When you're ready, serve them in mini cupcake wrappers. I used green wrappers because the truffles are mint, but you can have them match your wedding colors. 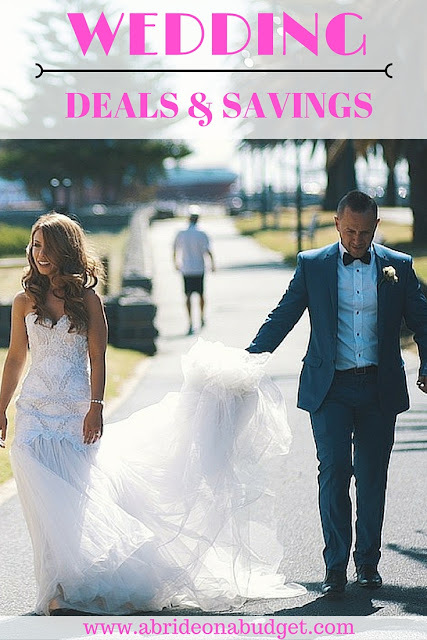 As I've mentioned before, I usually don't post deals on the blog. Yes, it's about saving money, but I try to keep deals on Twitter or Facebook because deals expire and posts on this blog last forever. But people were really happy with the wedding deals and savings I posted for Black Friday and Cyber Monday, so I decided to put together this monthly post of wedding deals and savings. It is updated every month with the current deals and coupon codes. 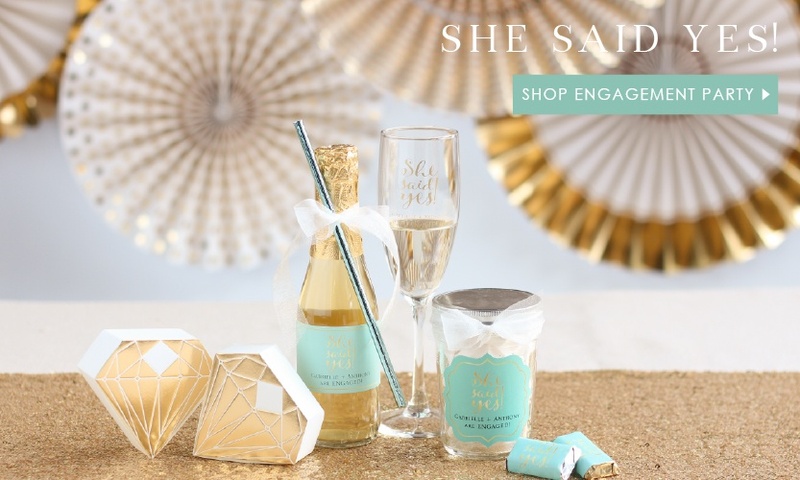 The post is separated into three sections: Wedding Stationery Deals, Wedding Deals (for anything other than stationery), and Wedding Freebies. No matter what you are up to in the planning process, this list is sure to help you out. 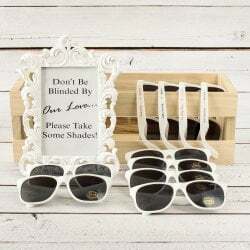 *These would make fun additions to bridal party gifts. 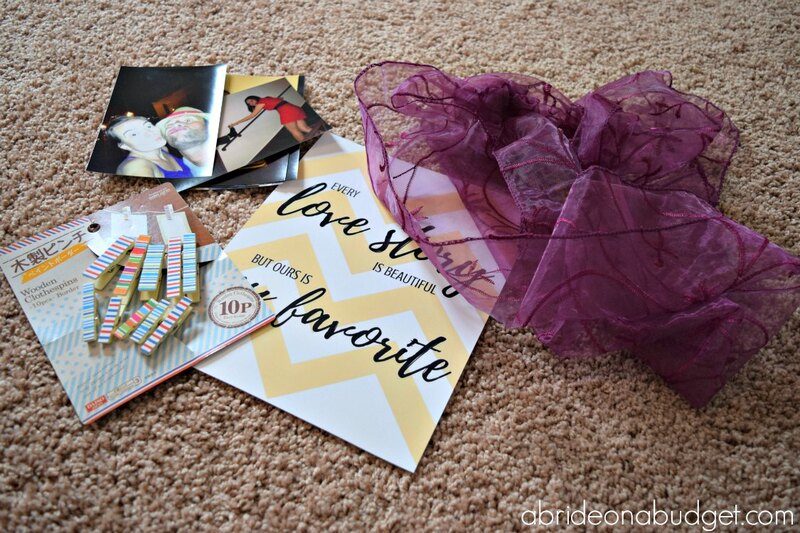 BRIDAL BABBLE: What are you looking for savings on?